If you want some fun places to visit in Los Angeles that most tourists don't know about and are not typical like Disneyland, California Adventure or Universal Studios Hollywood, then I think you'll really like some of my favorite places in my adopted hometown of L.A. 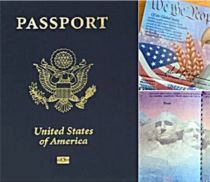 The attractions most tourists go to when they come to the city of Angels can cost a pretty penny, but I have some places that are off the beaten path and are fairly easy on your travel budget as well. 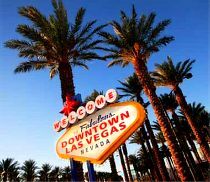 However, they're more than that, these places are special to me so I hope when you plan your next trip to Los Angeles, California, or better yet if you live here, you'll check them out. Long before the Getty Center, the Getty Villa in Malibu was opened as a museum in 1974 when oil tycoon J. Paul Getty simply ran out of room in his home and gallery for his art collection. Renovated in 1997 and reopened in 2004, this place is one of the most special (and yes, fun) in Los Angeles. Located on the famous Pacific Coast Highway, the museum building design was inspired by the Villa of the Papyri in the ancient Roman city of Herculaneum. 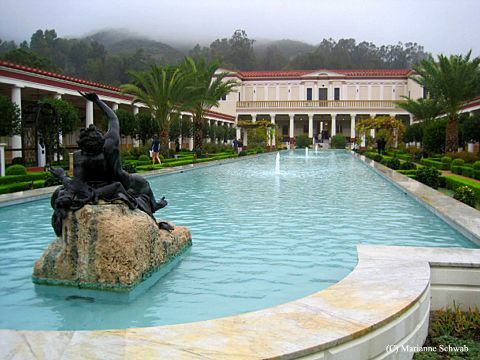 When you step on the grounds of the Getty Villa in Malibu, you’ll feel as though you’ve been transported to Italy. I like to make an early day of it and have lunch at the museum café. Admission is free but you do need to make reservations in advance on their website. Parking will set you back $15.00. For years I’ve been taking wine tasting trips to Napa, Sonoma, Santa Barbara and Temecula, but you don’t have to travel to the famous California Wine Country to get an authentic California wine tasting experience. 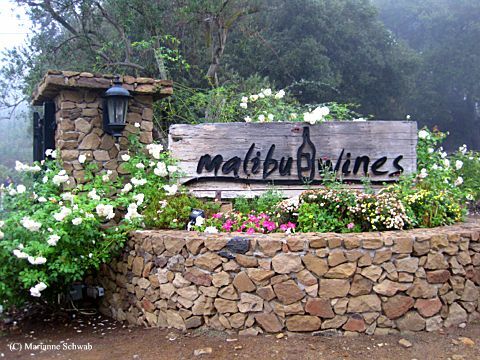 Until recently, I had no idea that Malibu has over 25 vineyards right in my own backyard when I discovered Malibu Wines. Their vineyards are located in the ideal environment for growing premium wine grapes with a high altitude separated from the coastline, perfect weather conditions, and rocky soil. The drive to the Malibu Wines tasting room is very scenic and has great views of the Pacific Ocean when you're driving West on Mulholland Highway. The tasting room is located about 15 minutes from the Pacific Coast Highway off of Mulholland. The tasting fee is between $10.00 to $12.00 per person to taste up to four wines. Open seven days a week, you’ll want to call in advance for the seasonal hours of their tasting room. This is a great afternoon addition to your early day at the Getty Villa and they often have live music on the weekends. 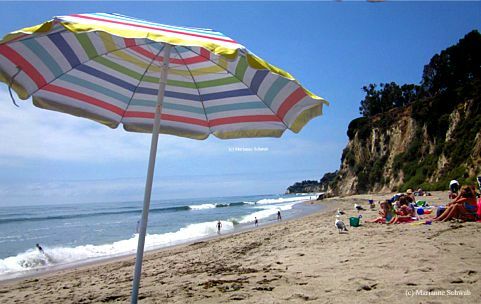 I recently discovered Paradise Cove and it is one of the best places to experience the famous beaches of Malibu without booking one of the few hotels in the area. I love this beach and it's been the location of many movies and TV shows. In fact, I was recently watching an episode of one of my favorite TV programs, The Mentalist, and saw that they had several scenes filmed at Paradise Cove and the Beach Cafe restaurant located, you guessed it, right on the beach. Most tourists don’t realize that the 21 miles of coastline Malibu beaches have very limited public access. Technically, all Malibu beaches are open to the public but many homeowners block access to the beach and post signs stating that the beach in front of their homes is private property. The state of California owns the land seaward of what is called the mean high tide line so you can legally hang out anywhere lower than the high tide line. A trip to Paradise Cove gives you plenty of public access and the benefits of an expensive Malibu hotel but at a fraction of the price. You do have to pay for parking that can be up to $25 for the day, or if you get a delicious bite to eat at The Beach Café, you get to park for three hours for just $6. Just remember to get your parking ticket validated. The Ronald Reagan Library is located in Simi Valley, several miles outside of Los Angeles County, but it's only about 30 minutes from where I live in the San Fernando Valley and it's often overlooked by tourists. When you visit the Reagan Library, you can step aboard the exact same Air Force One that served seven U.S Presidents from 1973 to 2001, including Presidents Nixon, Carter, Ford, George H.W. 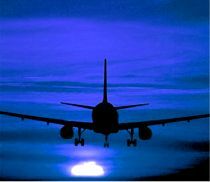 Bush, Clinton and George W. Bush, and flew President Reagan over 660,000 miles to 26 foreign countries and 46 U.S.states. 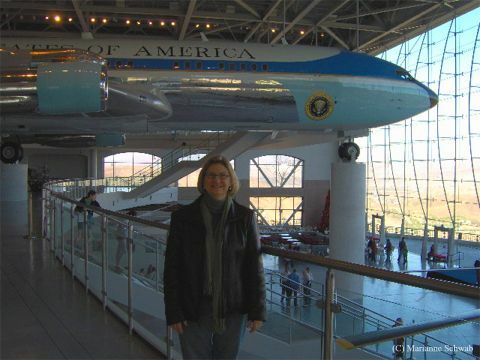 The Air Force One Pavilion at the Reagan Library is one of Southern California’s “must-see” destinations in my humble opinion since it's not everyday you can step aboard Air Force One unless you're the President of the United States. At the Air Force One Pavilion you can also see one of Reagan's presidential limousines and secret service suburbans as part of an exhibit on presidential motorcades. Regardless of your political party, you can't help but be impressed with the Air Force One Pavilion at Ronald Reagan Library. There are lots of photo ops to get your photo taken with Air Force One like I did (above) and I've brought many family members here on their visits to step aboard the Flying White House. You can get more details on the Ronald Reagan Library website. 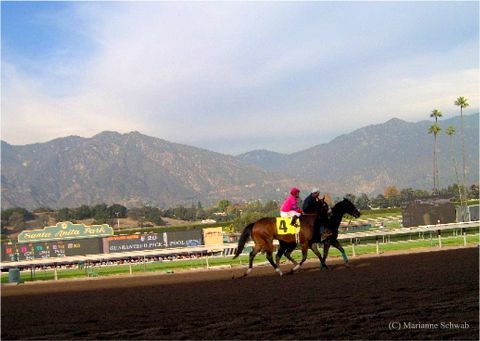 Just because Santa Anita Park is 30 miles from the Los Angeles International Airport past Pasadena, doesn’t mean that I don’t consider it part of Los Angles as it is still in L.A. County. This is also a movie location site used in Seabiscuit, The Grifters and many others. I really don’t like certain aspects of the race track atmosphere, so I recommend booking a reservation at The Front Runner, the non-smoking enclosed glass restaurant with the best vantage point of the track. You don’t have to spend a lot of money to have a good time. Food and drinks will set you back between $30 to $40 per person and if you bet your $2 bets right? You might be able to break even on your day at the races. Now I’m certainly no gambler, but my mom taught me to bet the jockeys over the horse and look at their winning record. I usually break even when I follow mom’s advice at the races. I hope you'll check out some of my favorite places in and around Los Angeles. You can actually plan a lovely Southern California day starting at the Getty Villa in the morning, head to Malibu Family Wines in the afternoon, and end your day with the sunset on the beach at Paradise Cove. Whatever you decide to do, have fun and enjoy Los Angeles.